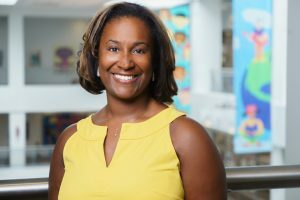 Danielle currently serves as the Director of Capital Programs within the School District’s Operation Division. In this role, she is responsible for identifying and prioritizing new construction, renovations of existing buildings, and large-scale building system replacement projects within the School District of Philadelphia. As the Director of Capital Programs, Danielle was responsible for completion of key initiatives, including the 2016 Facilities Condition Assessment, partnering with the Chief Finance Office to support a new bond issuance of $250M in November 2016 to fund various projects within the capital program, and completing the renovations in support of our System of Great Schools work. Notably from 2011-2013 Danielle led the project team and analysis for the District’s consolidation and reassignment efforts. She currently serves as lead for public-private partnerships to attract additional resources for the renovation of classrooms, CTE spaces, and schoolyards. Danielle attended the University of Pennsylvania, completing a program of study in Urban Studies and Political Science with a minor in Urban Education. She has continued her studies in the public sector through completion of the Dale Carnegie Leadership Training for Managers, the LEADERSHIP Philadelphia Core Program, the Public Education Leadership Project at Harvard University and the Pennsylvania Education Policy Fellowship Program. You can follow the Division’s progress in support of our schools by liking their Facebook and Twitter (@PHLschoolOps) pages.